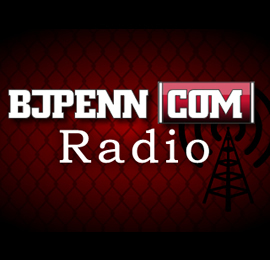 The BJPENN.COM RADIO crew is set to hit the airwaves in it’s usual time slot tonight at 8:00 PM ET / 5:00 PM PT. 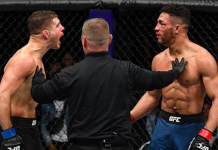 Joining fill-in hosts George Matthews and Pedro Carrasco will be top Strikeforce import, KJ Noons, Bellator welterweight champion Ben Askren and famed dietitian Mike Dolce. Noons is preparing for his UFC debut against Donald Cerrone at UFC 160. 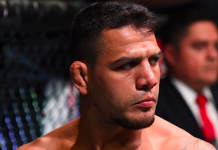 The former EliteXC champion and pro-boxer is coming off a controversial split-decision loss to Ryan Couture. Bellator Champion Ben Askren has been a dominant force since making his pro MMA Debut. With the recent twitter scuffle between himself and Michael Bisping, the Spike TV fighter is guaranteed to light up our airwaves tonight. Also on the show, Mike Dolce, checks in with us from Montreal where he sits alongside Johny Hendricks helping him prepare for his UFC 158 bout against Carlos Condit. Tune into the show live over at our BLOG TALK Radio Channel at 8:00 P.M. ET / 5:00 P.M. PT. Click the link below to listen live!